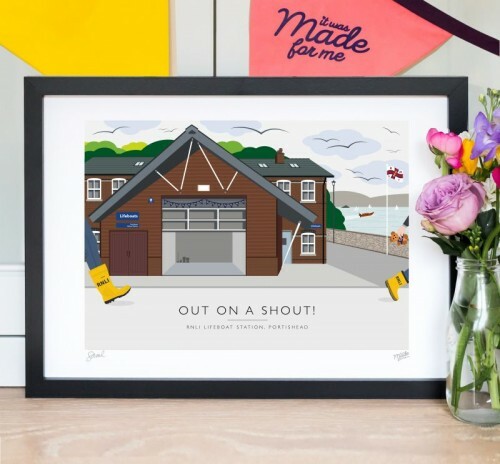 We are delighted to be now stocking It Was Made For Me At Splash Gallery! 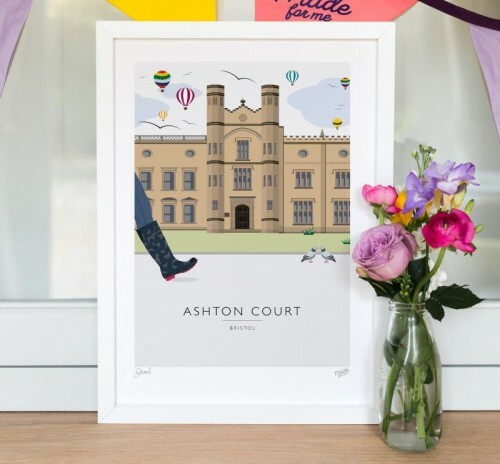 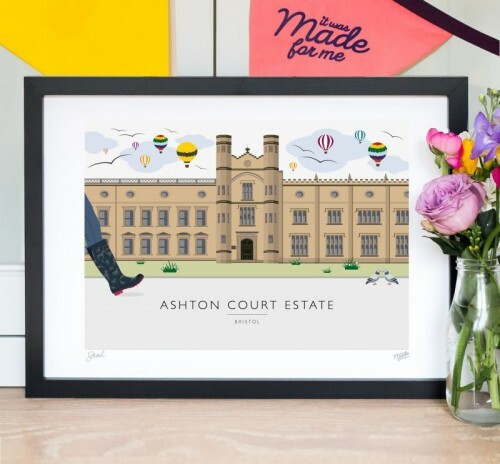 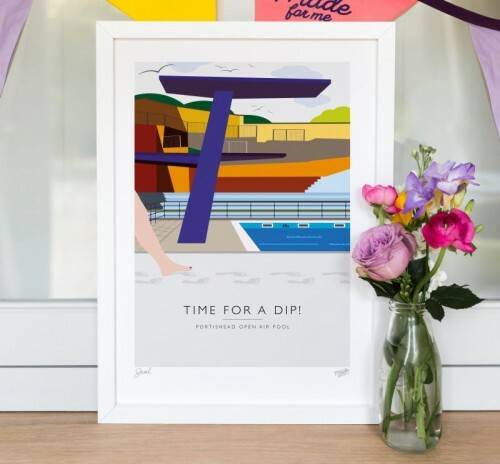 She’s passionate about creating work that’s bold, colourful and fresh and her illustration style is inspired by vintage transport posters, architectural design and beautiful typography. 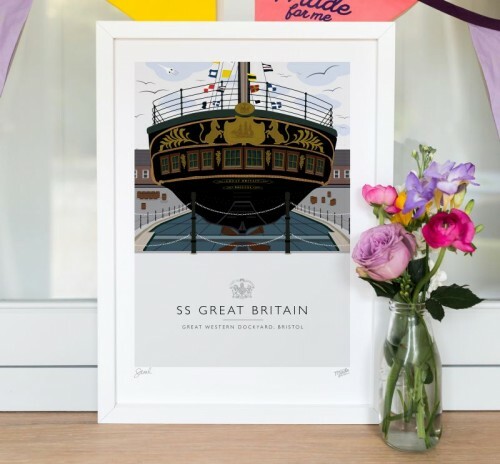 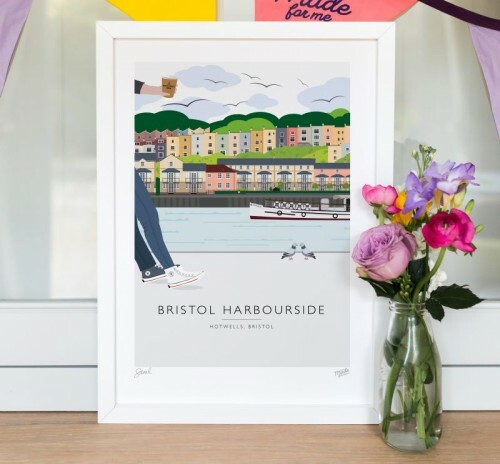 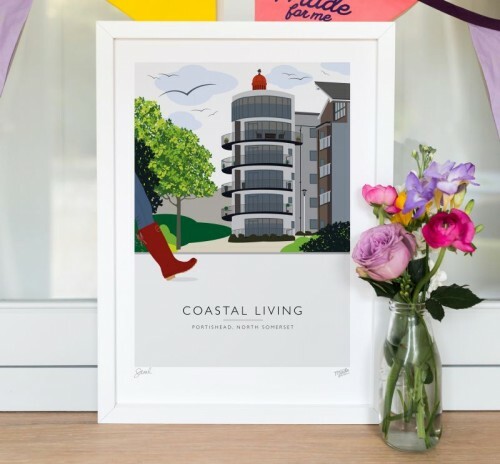 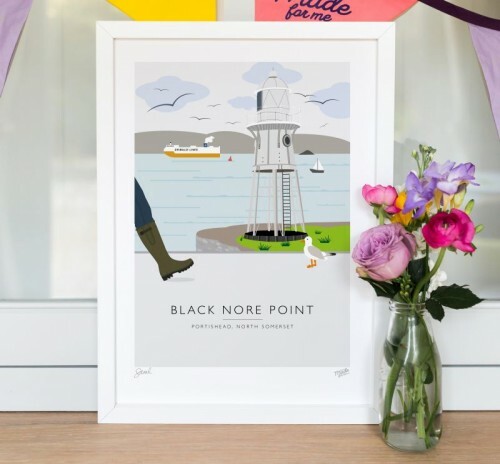 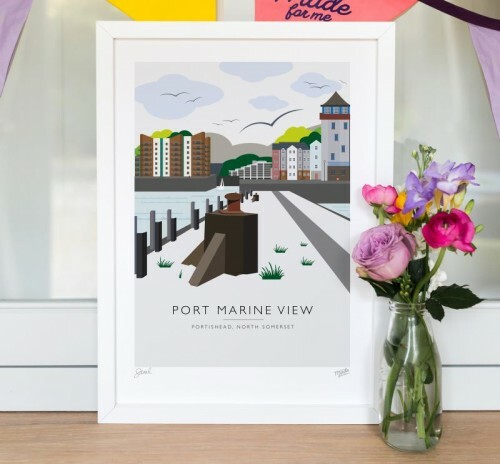 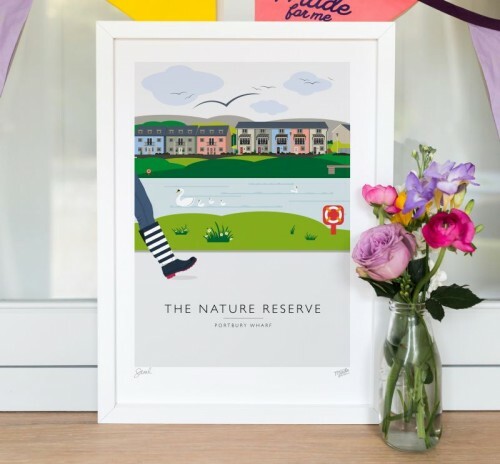 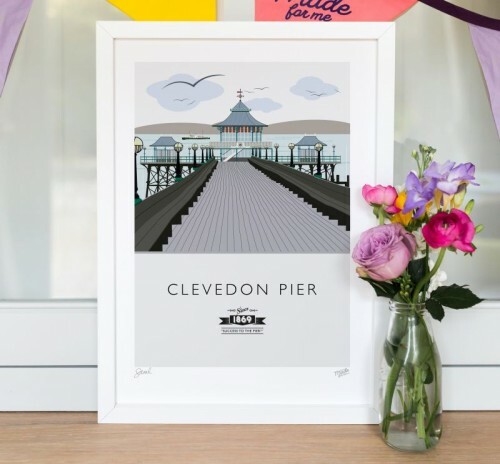 It all started when she created a bespoke art print for a friend as a birthday gift featuring her out for a stroll with her dog against a backdrop of the marina in her home town of Portishead. 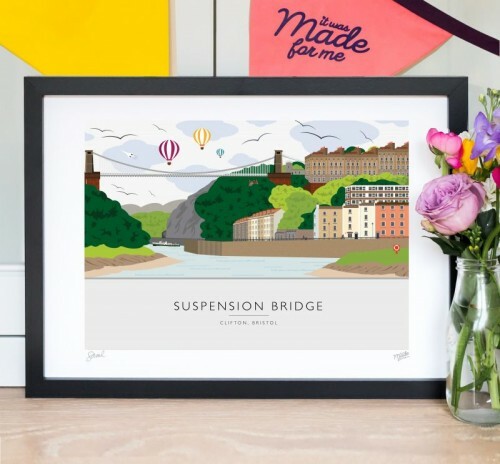 The response was overwhelming and she was approached by more and more people looking for locally themed bespoke artwork to give as presents for all sorts of occasions or just to brighten up their walls. 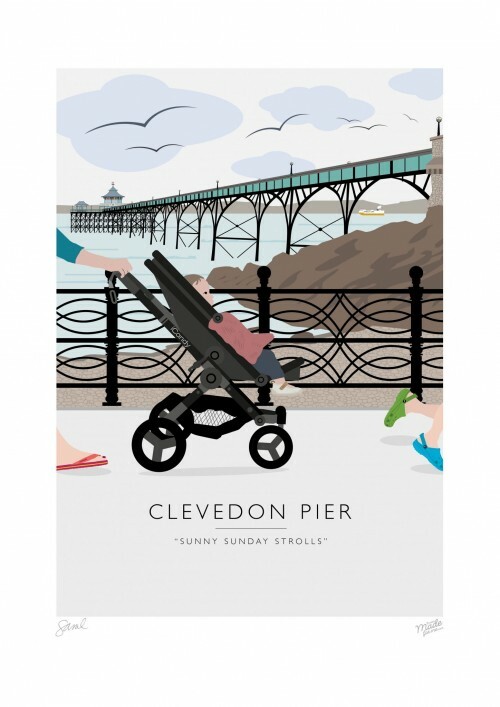 She was coming to the end of maternity leave at the time and considering my next career move – the timing was perfect so she decided to give it a go. It felt like a natural step to continue to offer an ever-growing collection of illustrative backgrounds for people to put themselves in the picture and since then she’s never looked back – what started out as a hobby quickly grew in to something much more. She launched the business properly in April 2017 to allow her to combine her career with motherhood. 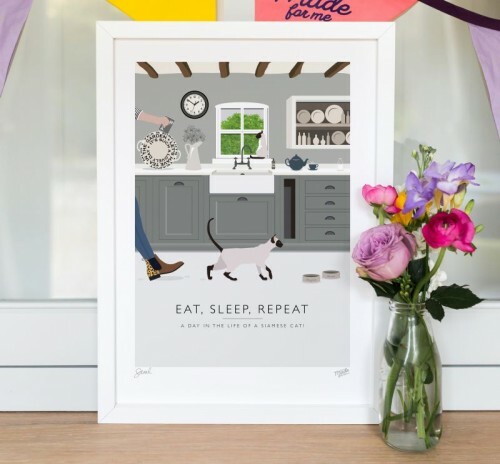 She have a design studio at home and work part time, allowing her to do something I really love whilst giving me the flexibility and work/life balance to be there for her young family.